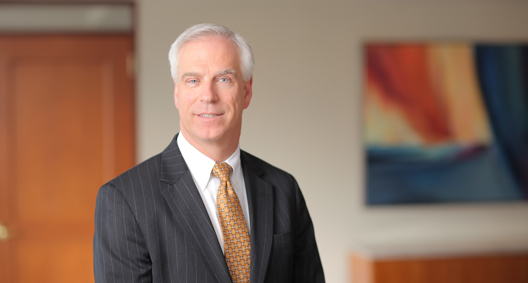 John Boyd focuses his practice on employee benefits, executive compensation, and related tax and fiduciary issues. He has more than 25 years of experience advising employers and benefit plan service providers on these matters, including qualified and nonqualified retirement plans, employment agreements, and health and welfare benefit plans. John is inquisitive and thoughtful, and works to understand his clients' perspectives so as to successfully achieve their benefit plan objectives. Assisted a publicly traded employer in a review of compliance issues for a 401(k) retirement savings plan. Identified areas of noncompliance and worked with the client's human resources and corporate treasury departments, as well as the plan's trustee and record-keeper, to develop a coordinated correction strategy to preserve the tax-qualified status of a $100 million plan. Designed and implemented a deferred compensation plan for key employees of a privately held investment management firm. Structured a plan to align employees' financial awards with the performance of a private investment fund managed by the firm. Advised a large financial institution on cessation of operations and closing of an at-risk $270 million stable-value collective investment fund. Provided legal support for orderly termination and liquidation of a fund while preserving the fund's one dollar unit value. Performed a due diligence review of employee benefit plans and compensation programs in connection with a Germany-based holding company's stock acquisition of a U.S. manufacturing company. Coordinated with the client's corporate counsel on the terms of stock purchase agreement representations, warranties and post-closing covenants on employee benefit plan issues. Worked with a nonprofit charitable foundation to address broad noncompliance in its retirement plan. Shepherded the employer and plan through the IRS Employee Plans Compliance Resolution System walk-in correction program. Negotiated with IRS representatives on the client's behalf to allow retroactive correction of operational failures on a simplified basis. Assisted an international manufacturing company with termination of the senior management team at a U.S. subsidiary, including the chief executive officer of the U.S. subsidiary. Managed the employment separation process, including negotiation and preparation of separation agreements and obtaining of releases of claims from affected individuals. Works with employers on tax reporting and tax withholding issues relating to a broad range of fringe benefit programs, benefit plans and executive compensation issues, including the expanded welfare plan reporting requirements under the Patient Protection and Affordable Care Act (PPACA). For example, counseled clients on tax reporting and withholding changes for imputed income on same-gender spousal benefits following the Supreme Court's Windsor decision. Advises employers and insurance companies with regard to group health plan issues in connection with employer plan mandates and the insurance marketplace requirements under the PPACA. Specifically, assists employers in design of exempt benefit plans and in compliance matters for group health plans subject to the PPACA.